M GREAT READ FOR KIDS! 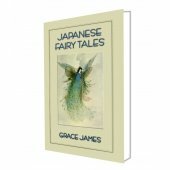 ASIA is rich in folklore, legends, and fairy tales and in your hands lies a collection of tales whose epicentre lies somewhere in ancient Persia. All were acquired from Asian storytellers. 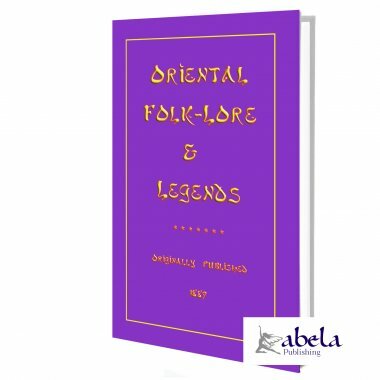 The 25 tales in Oriental Folklore and Legend originate from countries along the fabled Silk Route [Arabia, Persia, India, and Kalmykia] and, as one would expect, they are infused with elements of Islamic, Hindu, Buddhist, and Zoroastrian culture and tradition. Because of this rich cultural mix, the tales abound with Magicians, Viziers, Cobblers who become Astrologers, Arabian Adventures by the Score, and common men who best both Shahs and Kings. Curl up with this snippet of ancient Central Asian folklore and absorb yourself in Sinbad and Aladdin-like folk tales from yesteryear. The Kalmyk tales are of especial interest, both because of their contents and their oblique history. The extended Scheherazade-like Relations of Ssidi Kur is a märchen-cycle from the people of Buddhist Kalmykia. The Kalmykians migrated from southern Siberia to the northwest shore of the Caspian Sea in the 1600s. They maintain strong historical connections to Tibet and Mongolia, mainly because Buddhism remains their national religion. During their deportation by the Russians [1943 1957], Kalmyk folk stories and tales kept alive the peoples hope of nation-hood and eventual repatriation. 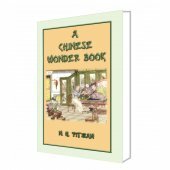 Oriental Folklore and Legend was originally published in a series of Folklore and Legends volumes by W.W. Gibbings between 1891 and 1905. The author/editor was unnamed, but the initials C.J.T. given after the preface are apparently those of one Charles John Tibbitts. Once Upon a Time, During the reign of a mighty rajah named Guddeh Sing, a celebrated, and as it is now supposed, deified priest, or hutteet, called Dhurrumnath, came, and in all the characteristic humility of his sect established a primitive and temporary resting-place within a few miles of the rajah's residence at Runn, near Mandavie. He was accompanied by his adopted son, Ghurreeb Nath. From this spot Dhurrumnath despatched his son to seek for charitable contributions from the inhabitants of the town. To this end Ghurreeb Nath made several visits; but being unsuccessful, and at the same time unwilling that his father should know of the want of liberality in the city, he at each visit purchased food out of some limited funds of his own. At length, his little hoard failing, on the sixth day he was obliged to confess the deceit he had practised. of standing on his head. On commencing to carry out this determination, he dismissed his son, who established his Doonee in the jungles, about twenty miles to the north-west of Bhooj. After Dhurrumnath had remained Tupseeah for twelve years, he was visited by all the angels from heaven, who besought him to rise; to which he replied, that if he did so, the portion of the country on which his sight would first rest would become barren: if villages, they would disappear; if woods or fields, they would equally be destroyed. The angels then told him to turn his head to the north-east, where flowed the sea. Upon this he resumed his natural position, and, turning his head in the direction he was told, opened his eyes, when immediately the sea disappeared, the stately ships became wrecks, and their crews were destroyed, leaving nothing behind but a barren, unbroken desert, known as the Runn. Dhurrumnath, too pure to remain on the earth, partook of an immediate and glorious immortality, being at once absorbed into the spiritual nature of the creating, the finishing, the indivisible, all-pervading Brum. This self-imposed penance of Dhurrumnath has shed a halo of sanctity around the hill of Denodur, and was doubtless the occasion of its having been selected as a fitting site for a Jogie establishment, the members of which, it is probable, were originally the attendants on a small temple that had been erected, and which still remains, on the highest point of the hill, on the spot where the holy Dhurrumnath is said to have performed his painful Tupseeah.